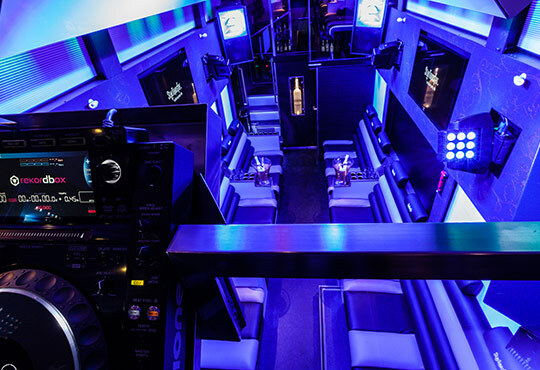 Do you want to bring your VIP guests or artists from and to your event in a comfortable and safe manner? StarTransfer completes your event by turning the transport into an experience. We are at your service for as long as your event lasts! But StarTransfer is not only suitable for the party scene. We also offer our services for meetings and presentations. There are many possibilities! The interior is designed in a way that there are comfortable leather seats opposite of each other. In addition we can serve coffee and tea and a presentation screen will be provided.